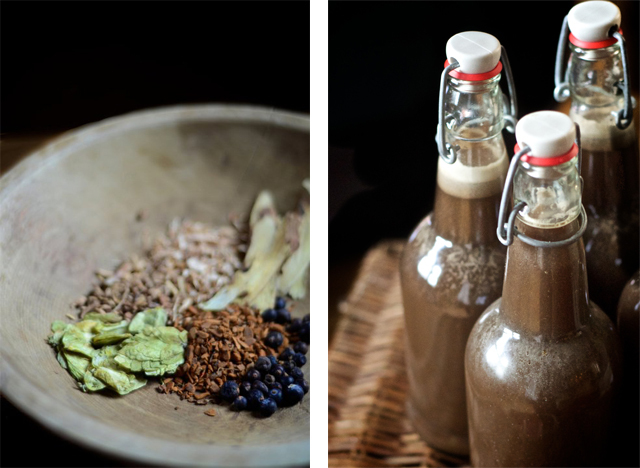 There’s an old-fashioned charm to homemade root beer with its odd array of roots and bark, flowers, leaves and berries. 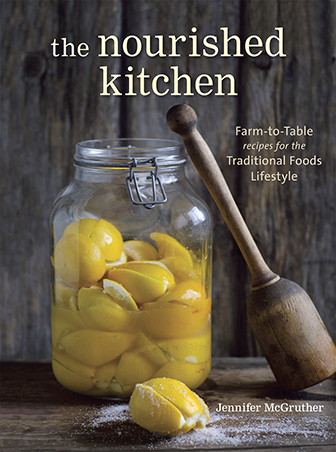 It, like many other fermented beverages, once enjoyed position as a staple of American cookery. Water, as you know, was not always potable and raw milk, small beers, cider, perry and other fermented beverages were consumed as the drink of choice – even for small children. For a time, each community and each family enjoyed a closely guarded homemade root beer recipe. While most home brewers now make their root beers from commercially sold root beer concentrates, there’s a certain undeniable charm of brewing root beer the traditional way – slowly simmering a concoction of roots, berries, bark and spices, dissolving a sweetener into the herbaceous brew adding a natural source of yeast, bottling and then simply waiting for the yeast to do its work. (If you’re reading this on email, be sure to click through to view the history of root beer, the safrole controversy, its use in folkloric remedies and, of course, the recipe). 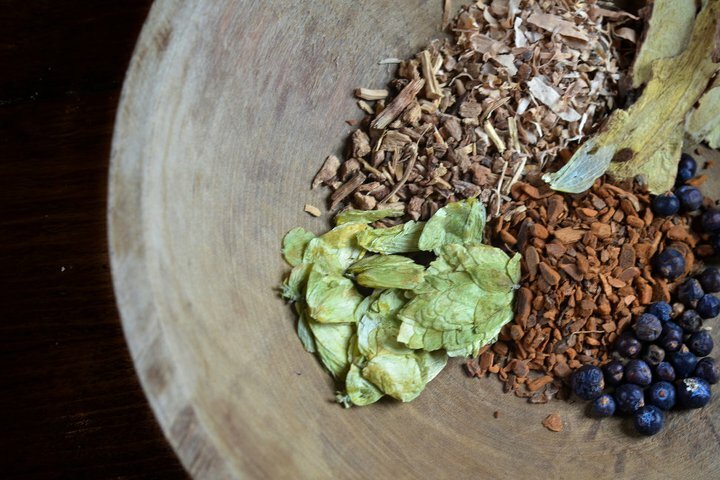 While popular since the colonial era, when European colonists combined the brewing techniques of the old world with wild-crafted ingredients like sassafras. At the turn of the 20th century, an ingenious pharmacist named Charles Hire, developed a popular root beer mix featuring licorice, birch, juniper, sarsaparilla, hops, sassafras and ginger among other roots, herbs, bark, flowers and berries and through clever marketing and storytelling, his mix grew wildly popular. 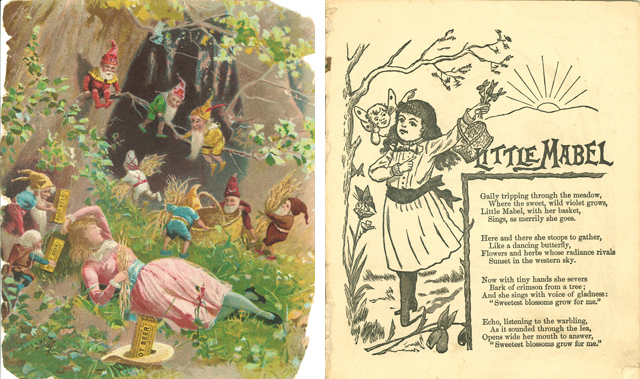 An 1891 pamphlet for Hire’s Root Beer, which you can see in the image above as well as in its entirety thanks to the University of Iowa, describes the inspiration for the drink in perfect Victorian-era fancy – detailing the story of Little Mabel who was given the recipe from forest gnomes and fairies. Hire’s Root Beer was sold and resold before ending up as a holding of the Dr. Pepper Snapple Group, and while the original version, much like my recipe for homemade root beer below, earned its complex flavor by natural means, the version most well-loved by the American public achieves its flavor, color and sweetness by artificial means. The primary flavor found in any old-fashioned homemade root beer recipe is sassafras, a deciduous tree native to North America. The characteristic sweet flavor comes from the tree’s roots, thus giving us the name root beer. Incidentally, the tree’s leaves give us file powder which is the essential thickening agent in classic gumbo. Now of course, the primary flavor we associate with root beer is that of wintergreen, not of sassafras. Wintergreen leaf, though almost always an ingredient in most traditional root beer recipes, replaced sassafras as the prominent flavor in root beer during the 1960s when a study conducted on lab animals implicated safrole, a naturally occurring polyphenol, in liver cancer. Of course, the lab rats were fed massive quantities of safrole – the human equivalent of consuming about 32 twelve-ounce bottles of root beer a day. After the study was released, the FDA required commercial soft drink makers to remove sassafras from their brews. Of course, cinnamon, nutmeg and basil also contain safrole but this seemed to escape the attention of the FDA. Interestingly, while massive quantities of safrole caused liver cancer in lab animals, it seems that small doses may actually play a protective role for humans. Some studies indicate that safrole may actually stimulate the death of cancer cells, particularly oral cancers1,2 though it may also do so in lung3 and prostrate4 cancers. Wintergreen, already an ingredient in root beer, offered a flavor profile strikingly similar to that of sassafras, and made a ready replacement. Most root beers made today contain neither sassafras nor wintergreen and are instead made with artificial flavors. Even wintergreen extract, the preferred flavoring for many home brewers, is difficult to attain and typically is made with propylene glycol – a petrochemical. As for me, it seems that everything is a medicine and everything is a poison; it’s all about dosage. So when I make my root beer, I’ll take my chances with a tiny amount of safrole in natural sassafras and avoid the propylene glycol in synthetic flavorings. Homemade root beer recipes, despite the safrole controversy, contain many herbs and spices considered medicinal in folkloric medicine. And while each homemade root beer recipe differs from the next, it is their consistencies that illustrate the power of traditional cooking and herbal medicine. Now more or less obsolete in natural and herbal medicine, sassafras was traditionally used as a diuretic and thought to cleanse the blood and promote skin health., which may account for Charles Hire’s claim that his brew purified the blood and made for rosy cheeks. Sarsaparilla, similarly, was typically used to beautify the complexion and as a diuretic. Traditionally, wintergreen leaf was used as a carminative – that is, it was thought to prevent gas and to ease digestion, and it was also typically used to ease the pain of sciatic and epidydimitis. Licorice root, similarly, was used in folkloric medicine for its ability to ease digestive distress and some clinical evidence suggests it can be beneficial in the treatment of ulcers. Other herbs and ingredients typically used in homemade root beer: ginger, dandelion, hops, birch have also featured widely in traditional herbal medicine. Preparing a true homemade root beer from scratch is simple. You begin by steeping herbs and spices in hot water, and when it has cooled to blood warm – that is, it’s neither hot nor cool to the touch – you mix in sweetener, starter culture such as fresh whey, or a yeasty batch of ginger bug or, as I prefer, kefir starter culture which makes a superb base for homemade sodas and probiotic tonics and is blessedly convenient to store and keep. This mixture is then bottled and allowed to sit and ferment for a few days before its ready. The work you put into your homemade root beer is minimal indeed, but finding the ingredients can prove challenging. Licorice root, sassafras and sarsaparilla aren’t readily stocked even by the best spice shops and natural food stores. I order my roots, spices, herbs and bark online in bulk at affordable prices from Mountain Rose Herbs – a reputable online source of organic and sustainably wild-crafted herbs and spices. Save wintergreen which I special ordered from our local health food store, they stock all the ingredients used for this old-fashioned homemade root beer recipe. Seasoned with sassafras, winter green, sarsaparilla and eight other herbs and spices, amassing the ingredients for this classic homemade root beer recipe can prove challenging. I recommend purchasing from Mountain Rose Herbs which stocks even the most obscure wild-crafted and organic herbs and spices. I love root beer and have always wanted to make my own, I have a a bbq in a few months and think root beer will go well with it so I will be using this recipe to make some for then. Thanks for the recipe. Could you use water kefir grains? When would you add the grains? Thanks! Megan-I haven’t done this, but based on what I’ve read elsewhere, I think you would make the concoction and allow it to cool to room temp in a canning jar, leaving plenty of air space at the top. Then put your grains in for 24 to 48 hours. Remove your grains, bottle your root beer as described above, and allow the cultures left behind to second ferment for 24 to 72 hours. The longer it ferments, the higher the alcohol content though. How would I ferment using the Keifer starter? There are two different kinds of kefir grains, water kefir and milk kefir… although I heard they can be interchanged but require time to adapt. The water kefir are what you want, they will also stay together unlike yeast which can unsettle. There are many directions on how to use them, they should come with instructions when you purchase them. I have used milk kefir but never water kefir. I have heard it used for ginger ale and may possibly be the original ‘plant’ in ginger beer plant. thank you so much for all the work you do on your blog. you don’t post as often as many other blogs but each and every one of your posts is full of useful and interesting information. i appreciate quality more than quantity. regarding this recipe, i’d like to make it but i have no familiarity with the flavor of most of these roots, herbs, etc. if this was a recipe for cooking, with most herbs and spices i could easily decide which flavorings could be left out but i’m at a loss here. i will need to order from mountain rose herbs and pay for international shipping so i don’t want to get anything which isn’t necessary. are there any ingredients that could be left out in a pinch? what is absolutely essential for the rootbeer flavor? Were you ever able to make this using only essential ingredients? I’m interested to know what worked for you. Ditto. I’d love to know what each herb adds in terms of flavor. I prefer smooth, less spiced root beers. Thanks for anyone who can share. Is there any way to replace some of the sugar with stevia or xylitol? If so, how much? No. I don’t recommend xylitol as it is not a natural sweetener. You can add stevia to the mix, if you’re using the green herb and not the white powder or liquid which are also heavily processed. Plus, the bacteria and yeasts responsible for fermentation of the root beer need sugar or fermentation will not occur. The real trouble with xylitol here is that it is bacteriostatic. Your brew won’t ferment.. while this can be added after the fermentation process to increase the sweetness, and it truly its good for your teeth, it cannot be added til after the fermentation phase. And then it promptly kills all the good bacteria in the root beer. xylitol is natural. It comes from the inner bark of birch trees. I wouldn’t doubt if it was the sweet component of birch syrup made from birch sap which is a very healthy drink. Xylitol is naturally occurring (in small amounts); however, how it’s manufactured is far from natural. I went to Mountain Rose Herbs and they have a sassafras Root, Indian or Jamaican. Which one am I supposed to use? You are referring to sarsaparilla, which is not the same herb at all. The sarsaparilla gives it a foamier head and adds additional detoxifying medicinal properties. Any smilax sp. Root on the herb market should be fine. I am also interested in hearing about any distinctions between the two. Also, it is likely that there are suitable smilax species in your area. Does anyone know if Aralias are ever used in these brews? I believe that the Jamaican sarsaparilla is the species traditionally used. I used smilax medica to make a few brews before I figured this out and they didn’t turn out very good. I also need to know which Cinnamon Sticks, the Sweet or Cassia. They are sold out of some of the ingredients. Do you have a back up web site to get these ingredients from? The flavor profile sounds very good & authentic. Thanks for the source of the hard to find ingredients. Although fermenting root beer may be the way it was first made, that creates a flavor I DON’T enjoy. Essentially, you’re making root beer flavored kombucha. Kombucha is an acquired taste. I’ll probably just marry traditional & natural flavors with a modern source of carbonation from a home soda maker. If you don’t like the flavor of the kefir, you can use yeast. My brewer recommended champagne yeast. It will taste more like what you are used to buying at the store but the roots will be more flavorful. When you use a yeast reduce the fermentation time to one or two days at room temperature. I like to fill one plastic soda bottle as my tester. I leave all the bottles out until the plastic bottle is too tight to squeeze. Then I put all the bottles in the fridge. I was tempted to try an ale yeast but was warned that ale yeasts go too quickly through all that sugar and could cause the bottles to explode. This advice is kind of troubling because it’s more or less the opposite of true. Different yeasts attenuate to different degrees – which is to say, they devour a different percentage of available sugars… which can be, depending on the yeast and the amount of sugar in your root beer wort, between 65% and 85%. Champagne yeast is generally around 75%, which is at the high end of the middle. With a moderately-attenuating ale yeast like Danstar Windsor, you should have similar results. The major difference is that each type of yeast prefers to eat different types of sugar… and champagne yeast is particularly happy eating simple sugars, like table sugar. The main reason I can see to use champagne yeast is that it should generate less yeast flavors than an ale yeast, which can contribute “cidery” flavors when consuming straight sugar. Actually all bread/beer/wine yeasts will ferment glucose/fructose/dextrose/sucrose (sugar) 100%, unless arrested by chemical means or delayed by temperature. In practice, using maltose (such as rice syrup or solids) can assist in limiting attenuation. One way to avoid bottle bombs is to ferment in a brew tub with an airlock. That uses up all the available fermentable sugar. Then sweeten to taste with a non-fermentable sweetener like Stevia and use beer brewing instructions to “prime” the brew with a small amount of fermentable sugar and bottle it. That limits how much CO2 can be produced. Or, if you don’t mind alcohol, use sugar for the initial brew, let it brew to complete attenuation and prime/bottle. The alcohol level itself will pretty much limit fermentation of remaining sugars. Hmmm … not like kombucha at all I don’t think – kombucha is fermented real black and/or green tea (Camellia sinensis) and sugar – and has an entirely different flavor profile. Sounds to me much more like a kefir with extra flavoring… or ginger beer with extra flavoring. By “sweet”, I assume you mean Ceylon cinnamon. While I have no experience with rootbeer, I would only go with Ceylon. Cassia may have very high levels of coumarin and European countries are warning their citizens of the health dangers of too much coumarin – it may cause liver damage in sensitive individuals. Check the internet for more information. Dandelion Botanical Company in Seattle has an online shop. I tried this recipe, using Body Ecology Kefir Starter and the Root Beer never fizzed. Now I wonder if I should have used Water Kefir Grains. Definitely *DON’T* use water kefir grains as the antimicrobial properties of the herbs may negatively affect them. Ginger bug will also work very well. It’s possible that your starter was a dud (it happens, but not often with BED cultures). Could you use water kefir as your starter (i.e. removed from the grains)? Two questions: can honey be substituted for the sugar? and, what the heck is a “ginger bug”? Oh… wait… it, too, is made with sugar. I’ve used honey every time I brew ginger beer and for my ginger bug starter and it works great. I’m just starting to play around with adding other various herbs and barks used in root beer to my ginger beer brew to get a sense of their individual flavors, so I can personalize my own recipe. I have also tried adding powdered ginseng with positive results. Thanks for the great list of ingredients, I’ve wanted to make root beer since I was a little boy. I am looking to make ginger beer and looking for a good recipe to start with. So many on the internet. Basil: would you be willing to share or point to a recipe online? The sugar is what is used for fermentation. As in other fermented drinks such as kombucha or water kefir, the sugar is eaten up during the fermentation so you do not need to be concerned that you are consuming a bunch of sugar. I do understand that the sugar MAY be used up in the fermentation. The problem is that I, and many others, do not tolerate sucrose, and if ANY is left in the fermented mix, it can make us ill. The idea of going to all this work only to spend hours in the bathroom being vilely ill from unfermented sucrose is not entertaining. I’ve had it happen. That is why I cannot use kombucha or water kefir, even though I would like to. I’m not sure what the SUCrose sensitivity is, but there are other fermentable sugars that don’t need to be SUCrose, like GLUcose and others I’d guess. I can be sent to the toilet by LACtose as well as various live cultures like those those in the recipe…I’m thinking of making the recipe with a lot less sugar and NOT fermenting it but force-carbonating it. longer storage and less tummy upsetting! I was anxious to try this recipe as it seemed to be “back to the roots” in regards to root beer. I obtained all the ingredients from my local herb shop, bought some kefir starter culture from a health food store, and finally gathered together my bottles. I fixed me some root beer and let it sit for the allotted time. I’m not sure what this is suppose to taste like, but it was a little to “rooty” for me. By this I mean, it down-right tasted like I was drinking strained root water that has been sat out to mold. I think I will stick to the root beer extract method. Thank you for the information regarding the origins of root beer however. How would you know? How would I know? Mountain Rose Herbs has a great selection of most everything needed to make this. I’m not affiliated with them, but they are in my hometown, and they are the greatest bunch of people with great business sense. They will happily answer any questions you may have, and are quick to do so. hey i want to make old fashion root beer and sell it, do u think this is a good way to mass produce it by doing it this way or just make pocket money? Federal law disallows the use of sassafras in commercial drink production – so I wouldn’t do it. Is there a way to adapt thus awesome recipe to have more alcohol, making it into a root BEER? I’ve been looking for a recipe like this for a long time, but in earnest the last few days. I’m interested in seeing what you have to say. To add to Jenny’s point (posted below), when beer ferments the active yeast will consume mostly all the sugar content (save some of the more complex carbon structures) leaving you with only ethyl alcohol, C02 and other byproducts. This ‘full’ fermentation phase will leave you with a not-so-sweet beverage. Some ales will be sweeter than beer (Lager, Pilsener) due to constraints with the different varieties of yeast and the yeasts ability to withstand higher levels of alcohol. If you wish to make any beverage with higher alcohol content you must make sure, first of all, that you have an appropriate yeast to match the desired products potential results. I would try to use a champagne yeast to accomplish this because you will end up with a higher ABV but the champagne yeast will begin to die out around 4-5%. Second, consider how sweet you would like the finished product (I assume you would want some sweetness in your root BEER) and keep in mind that you have to cut fermentation short if the sugar content begins to reash your desired flavor profile. I intend on starting a series of test batches for a strong root beer (5-6%) and I will let you know if I have much success. I expect I will. I made homemade root beer the start time and I used champagne yeast. My question is how do you open the bottle with out the root beer shooting out the top of the bottle even after you crack the cap to let the gas to escape ? If you want to let the fermentation go you’ll want to do it in a container with an airlock, not in bottles. This will allow the carbon dioxide to escape instead of exploding your container. Once fermentation is complete, you will have a non-carbonated non-sweet beverage. You can kill the yeast by adding potassium metabisulfite then add some additional sugar, but with no yeast you’ll have no way to carbonate it. You would have to keg it and let pressurized CO2 do the carbonating for you. If you want to go a bit more natural, you could add some lactose to the root beer after fermentation is complete. You would need to experiment with the quantity according to taste. Lactose is milk sugar and is not fermentable so the yeasties won’t touch it. You can then add a small amount of priming sugar to the batch (3/4 cup per 5 gallons) and bottle. The yeast will eat this last little bit of fermentable sugar and do you carbonating for you. You can back sweeten the fully fermented brew before bottling to both carbonate and sweeten without having to add a chemical fermentation stopper or pressurizing with CO2. Just takes a little extra effort. Add sugar or other sweetener to the fully fermented brew so that it is a little sweeter than you want. (You’re restarting fermentation here so you can’t use artificial sweeteners with this method.) Then bottle it, making at least one bottle a plastic soda bottle. After a few days (3 to 7 days) the soda bottle should be very firm, like a new unopened soda. Now you have to stop fermentation in order to prevent the yeast from eating all the sugar so you retain sweetness and have the carbonation level you’re looking for, without over-carbonating into gusher bottles. You can either “cold crash” them in the fridge to put the yeast into hibernation, or heat pasteurize them. Heat pasteurization can only be done on glass bottles and does have some risk of breakage if you’re not careful. But the advantage is that it will kill the yeast and allow you to store the bottles at room temp for a long time. To heat pasteurize bring a 2 gallon pot of water to 180 degrees Fahrenheit, use a thermometer to be exact, then take pot OFF THE HEAT. Carefully add the bottles to the pot, cover, let them sit for 10 minutes. Remove them from the pot and cool to room temp. NEVER heat bottles on the stove. Only ever place them into hot water after removing the pot from the heat. Like I said this can be risky, glass and hot water and pressure, but if you are careful you can have a sweet beverage that was naturally carbonated. I do this with my hard cider all the time. Can you buy everything from walmart?! Try Mountain Rose Herbs, they will most likely have everything unless they are out of stock on something. If we shouldn’t use water kefir in this, what kefir starter are you suggesting? I’m only familiar with dairy and water kefirs. Would taking water already fermented with water kefir and then boiling it with the roots work? And then put it in the bottles and cover? I usually put my flavorings in my kefir after fermentation, except a bit of ginger and some fruit sometimes. I know this is an old question, but for anyone else coming across it—if you boil fermented water kefir, you will kill all of the live cultures in it, thus destroying the means of carbonating the root beer as well as removing any probiotic benefits. I haven’t done it yet, but I’m thinking of boiling the ingredients at a higher concentration, letting it cool, and cuttig it half and half with water kefir for a secondary ferment. I used Frontier herbs for the recipe and man did this mixture ever turn out bitter! Ended up throwing it out. Any ideas what might have gone wrong? I used a recipe with sassafras root that doesn’t call for fermentation, since it creates a syrupy “concentrate” that seltzer water can be added to. Check out imbibe magazine July/August issue. If not, I can post the recipe. Be forewarned that sassafras is hard to find due to the fact that it has carcinogenic properties, and yields an earthier taste than sarsaparilla, I added a vanilla bean pod to my recipe when jarring it. Kat: Please do post up the recipe for the root beer “concentrate” – I’d love to give it a try! Yes! I would love to try the concentrate, too. I went online and found the reference, but Imbibe doesn’t give a link to the root beer recipe. Yes Kat….I would like to check out that recipe too. Thanks!! Kat, please post the recipe from Imbibe magazine! thanks thanks. Clearly, you didn’t read the post, Kat or you would know that sassafras wasn’t proved to be carcinogenic! And why are you all here if you just want fake rootbeer? THIS post is for TRUE fermeted rootbeer that retains its probiotics cultures to promote good health. Sheesh! I don’t like sugar at all. What is the absolute minimum amount of sugar needed for fermentation? How does beer ferment without sugar? The entire reason I want to make homemade soda is because all the ones available in the health food stores are way too sweet for me. So when I saw your response to another commenter about it needing sugar I was SO BUMMED!!! Beer ferments without sugar because the wheat/barley/malt that goes into beer is full of naturally occurring sugars which support fermentation; herbs are not similarly full of sugars, so you need to support fermentation by adding a sugar source. If you don’t like it too sweet – you can start with half as much, or ferment it longer and the microbes will eat all the sugar. On the ingredients are they powdered or whole? Thank you for the recipe. I didn’t like the final result at all. It did not taste like root beer, it tasted like a weird, old tonic. It was bitter and too sweet at the same time. I was in mid-process of making this root beer, when I noticed that the dandelion root and cinnamon stick listed as ingredients are not listed in any of the preparation directions… I just added them in with the other roots and things in step one. Just wanting to make sure that’s right (maybe update the directions). Thank you. Thank you for the wonderful information. Now I am wondering how long can the root beer be stored? And if the root beer is removed from the fridge after the 2 days, will it ferment further or will the cold spell stop fermentation? I want to use my raw sugar cane juice as a replacement for the sugar and ginger bug because the juice comes with its own lactic acid. Have you ever tried anything like this? Hi Jenny, I tried a batch of root beer using a commercial root beer extract, so I have some champagne yeast at home and want to try your recipe using the yeast. When and how would I add the yeast to your recipe? Thanks! Hi Michelle , did you ever get an answer to your question about using champagne yeast. No, I never did. By now I’ve gone ahead and used it (the champagne yeast) and it seemed to work fine. I have been trying different combinations of the herbs/roots, some batches have been more successful than others. does the yeast and the hops make it alcoholic?? I cannot drink beer or wine or any alcoholic beverage but I noticed i’m seeing things that I would typically see in actual beers instead of the yummy nonalcoholic rootbeer everyone loves. So is this a legit Beer recipe or a yummy homemade version of the rootbeer we all love? Old sodas and root beers were made the same way that beers were, but the difference is that they are fermented for a shorter period of time so the amount of alcohol they might produce is so negligible they would be considered non-alcoholic by any standards. These drinks are made this way though because they began as health tonics and as drinks to replace non-potable water – which is the same reason beer, wine, and other drinks were consumed more often than water back when filters and purification was a bit more tedious, difficult, or non-existent. Hello, I would like to know about the last ingredient in the list. What is “ginger bug”? We are a vegan family and don’t want to use Kiffer. Hoping “ginger bug” is something I can find easily and is vegan! Thanks! ginger bug is made with ginger root and sugar that is allowed to ferment a little. but as with all vegetation, animals have fertilized the plant and thus it would not be truly vegan, using animal byproducts and products to produce the end ingredient. The kefir referred to here is water kefir (tibicos) – not the same as milk kefir, and does not contain any dairy or animal products. In the 80’s i was in Maine for a Master Gardeners conference and went to the Organic Festival they have every summer.
? I think it is called Common Grounds Organic festival or some thing like that………. Well…. I had the best Birch Beer homemade by a family there it was awesome. I asked for the recipe and was told it was a family heirloom….. I am still looking for the old fashion birch beer recipe…. Any one know of one?? I don’t know of any particular recipe, but if you’re in Maine and they had a Birch beer, it was probably made using Betula lenta. It’s a species of birch native to the East Coast of North America. Wintergreen, or Teaberry, is another popular plant to use, but birch trees were far more common than Wintergreen (Gaultheria procumbens) so I would guess some recipes might include or exclude either or. I keep reading that sassafrass is poisonous…can you help with that? I don’t want to make my family sick. Sassafras is not necessarily “poisonous”, as stated in the story before the recipe I believe, it contains safrole, an oil which is a carcinogen (cancer causing agent), but it would only affect humans if you drank 32 12oz servings a day. Also, basil and cinnamon contain safrole as well, but are not banned by the FDA like sassafras. So the minimal amounts of sassafras used in this recipe would almost surely be harmless. Although, if you like store bought root beer, wintergreen is the main flavor in today’s root beer., so omitting sassafras from your recipe you use would be okay if that is the flavor profile you are aiming for. Agreed with some others here — very bitter, “rooty” (but not in a good way), effectively undrinkable taste. I make many kinds of soda and brew beer, so I’m familiar with these ingredients and the process, but my lady and I really found this recipe quite undesirable. As a lover of craft drink making, I am thinking about ways to modify to make better, but really in the end I’ll end up changing the recipe so much that it wouldn’t be this. Lots of other great recipes out there. Have others had success with and enjoyed this one? 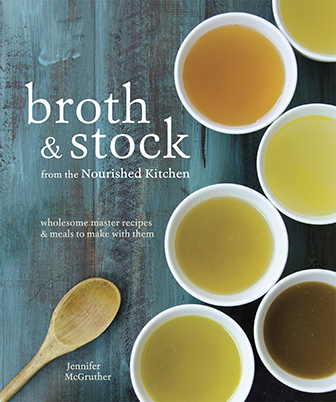 It doesn’t seem like it was too long ago that the recipes provided by Nourished Kitchen allowed creating a PDF for them. Is this option still possible? I’m not a user of Pinterest or other options and I miss having the so many of the recipes. Hops have antimicrobial properties, especially against Gram positive organisms. The lactic acid bacteria (LAB) that are so desirable in a ginger bug and kefir grains are Gram positive and are subject to the antimicrobial properties of hops (a major benefit to brewing in earlier, less sanitary times). So, the hops are good if you’re brewing with just yeast, but leave them out if relying on any semi-defined culture (which ideally contains the beneficial Gram positive LAB). Regarding an earlier note- hops do not create alcohol . They are flowers that add bitterness, flavor, aroma, and stability to beer or any other beverage. However, hops do not have antimicrobial activity against yeast, which can produce alcohol and CO2 in anaerobic conditions. Modifying this recipe to make it drinkable is pretty easy. The Wild Cherry and Licorice roots are what give an overly “herby” taste. Whereas Sassafras and Sasparilla give that wonderful taste we are all used to. My advice is to double the amounts of those two ingredients and halve the others and let ferment (I use a ginger bug) for 3-4 days, agitating twice per day, then bottle and refrigerate for a few more. The result is supremely quaffable. If you want A&W this is not the recipe for you my a long shot. The above article says to open your bottles of Root Beer over the sink. I prefer to set the bottle in a large bowl, then I can pour it into a glass and drink it instead of losing down the drain. I’m going to try a batch, using whey. I’v always got some yogurt hanging around that I can strain through a cheesecloth and use the whey from it. Ginger bugs take a week to make and are subject to becoming moldy, and keeping Kefir grains alive has been a challenge for met. I use empty, plastic, screw top, brown kombucha bottles with good results, but under pressure, you need to have a pair of small channellocks or pliers to open them, especially if you have arthritis in your hands. Bail-top beer bottles are also nice if you have the $$$$ to buy them or if you are a beer drinker and can re-use them. Check garage sales! One caution about 1 gallon, glass jugs. Call the manufacturer before buying them and make sure they are lead-free. I was stunned when I looked it up and found out how fast lead begins contaminating beverages and home canned foods. NEVER buy any glass container that you will be using for food or beverages that you do not know is lead-free. Sometimes it may be worth it to buy that gallon jug of pickles and olives just so you know that the jug is lead-free. Leaded glass is outlawed as commercial containers for foods and beverages. Only buy the Ball and Kerr canning jars that are made in the USA. A Canadian company bought out both jar companies and they are having their glass canning jars made at various places, all over the world. ONLY the ones made in the U.S.A. are lead-free. The ones made for freezing have thicker glass, so I recommend those. Also, when I making Kombucha. I use my 1.75 liter electric kettle to boil my water, as I have reverse osmosis water at my tap, so I do not need it to boil for twenty minutes to dissipate impurities. I use two jugs, one for sugar water, just shy of 1/2 of a gallon, and then I make my 1/2 gallon of tea in the other so they cool faster. Make each one, one cup shy of 1/2 gallon so you have form for your scoby and 2 cups of starter liquid. When cool, strain the tea from the leaves, into the sugar water and add the scoby and starter and you’re done. Great shortcut if you have filtered or distilled water. Electric tea kettles are worth their weight in gold for boiling water for almost anything, fast. This looks great; thanks for sharing it! I live in the bush in central Canada, where we have a number of root-beer ingredients growing wild. I’m wondering if I could more or less use this recipe, but leave out the sassafras & cinnamon. I think I could substitute American Licorice (Glycyrrhiza lepidota) root or Anise Hyssop (Agastache foeniculum) leaves for the licorice root, Wild Ginger (Asarum canadense) for the ginger, and previous comments suggest that honey could be substituted for sugar. I’m a beekeeper, so that would mean that I could feasibly make root beer with all home-grown ingredients, other than the whey, which I could get from a neighbour. Are the sassafras and cinnamon essential for the root-beer flavour, and if I left them out, would I have to change proportions of other ingredients? I think all those would work well for substitutions. The sassafras gives the root beer its characteristic flavor, but so does wintergreen. Cinnamon is not all that essential. PLEASE try it and let us know how it turns out, regardless, it would be authentic to your region, and that’s pretty neat. sizes:-( Or can I use the powder? Are you using powered herbs or he rough bark? Your comments on safrole and its presence in cinnamon and basil and black pepper and a few other approved food items is EXCEPTIONALLY misleading and dangerous to your readers and yourself. And the fact that your blog entry shows up in a search for root beer recipes makes it all the more troubling. Safrole is present at 90 times the amount in sassafras as it is in cinnamon. 90 times! There is absolutely overwhelming scientific evidence that sassafras root specifically is dangerous, and at this point it’s not even stated that safrole is responsible for 100% of that danger because even safrole free extracts are associated with cancer risks in lab animals. Do whatever you want with your own health, but when you start suggesting in your blog that sassafras root is as safe as basil, you’re endangering people’s lives. I think he said if your not comfortable using it you can use winter green extract and he said as for me ill take my chances. Read! Artificial Safrole is a carcinogen – or at least was in the mid 20th century – for overdosed lab rats. While I am a practicing MD, I only have anecdotal evidence for 150 years of regular sassafras root usage with no diagnosed cancers or other untoward effects. My grandparents insisted upon sassafras tea each spring as a tonic, they lived in to their 90’s. Same for my great grandparents, and I cannot attest to more than 3 generations back as far as health, but I know the tradition of spring sassafras tea drinking and dry sassafras leaf usage (file) was in place in the 1850’s in my family. Oh, my family also used Basil as well, although we are a mix of Scot-Irish & Louisiana French blood lines – the Basil use may have started with the influx of the Italian immigrants into our communities in the 1910s. I attest to sassafras usage – as handed down by the generations of woodscrafters and American Indians and practiced by current ‘country folk’ as being JUST AS SAFE AS BASIL & BLACK PEPPER usage. I also agree that it is a herbal diuretic and would like to keep sassafras root out of the hands of over educated bloggers or research scientists who overdose rats on common items and then extrapolate fear into the general population. Please don’t think I mean disrespect for your opinion, you are entitled. But you pointedly were disrespectful of someone else’s opinion citing “absolutely overwhelming scientific evidence that sassafras root specifically is dangerous”, something I find erroneous after reading the scientific literature. I would think – and in my diet it is true – that black pepper usage in yearly quantities is some 100x greater than the use of sassafras root derived drinks. Remember folks, garbage in, garbage out. Beware anyone’s strong opinions against things in moderation when wholistic traditions have embraced those things for generations. Can I use water kefir grains in this recipe? I tried High Country brand “Wild Root” flavored kombucha, which contains essentially the same ingredients as you have for your root beer. Do you have ANY thoughts on how to add in the herbs for a second ferment to make the “Root beer” kombucha? After day two my three jars of ginger bug were working really well bubbling a lot , after adding more ingredient for the third time, two of them stopped bubbling and after thefourth day they all stopped bubbling. Did I kill them? Will using.the same spoon to mix them contaminate each other some how? I followed the directions above exactly. Hi, I was wondering if you could provide the weight measurements needed for each ingredients? Everything is sold by weight online and I don’t want to order too little of each herb or end up with tons of extra. Is there a way to make Root Bear non-alcohlic? Is there a way to make Root Beer, (not Bear), non-alcohlic? Love this!! So amazing, I am going to have to try to make this! I have severe tree allergies do you know if you can make this without the tree barks? Or would that completely defeat the purpose? This recipe looks wonderful, I like the idea of fermenting with something other than yeast, just to try it out. I’ve always used yeast in the past. I’m wondering if it would be possible for you to share the ingredient list in grams rather than volumes? It would be very helpful :). Thanks for the great recipe and blog! I just wanted to note that, if you’re having a hard time finding wintergreen, I was able to find it at my local brewing supply store. It’s not organic or wild-crafted — it’s Brewer’s Best brand, 1oz. package — but it was nearby and affordable. I’m going to make this as soon as my ginger bug is bubbling again. I’ll cut back a little on the cherry bark and licorice root and up the sarsaparilla a little (if I bought enough — have to check). I’m also thinking of skipping the hops for the reasons mentioned above. Did anyone have any luck using them without killing the non-yeast elements of a ginger bug culture? Will try to remember to report back! 1: When ordering the root do I want the bark or powder? Bark or powder? Bark or powder? 2: Is the yeast only to add the carbonation? I homebrew and keg my beer and carbonate with a co2 tank. Can I make the root beer, keg it and carbonate with the co2 tank? Hopefully you are still checking these messages because I would really like to know if it would work to put the un- carbonated / un-fermented root beer in bottles with crimp on caps like I use to bottle my beer. Should I allow it to ferment at all in a primary fermenter before moving it to the bottles? Or do you suppose it would be fine to let it ferment for 3 or 4 days in a regular bottle with a bottle cap before refrigeration? I’m not Jenny, or by any means an expert — I just ferment a lot at home, including several different kinds of fermented soda (water kefir, kombucha, and various drinks fermented either with ginger bug or whey or other starter cultures) on a regular basis — but I can try my hand at an answer. TCigar, I would recommend the bark for more freshness. If you don’t want your root beer to be fermented with the lactobacilli that are in a ginger bug or similar starter culture, you could just add yeast to eat some of the sugar and, if you bottle it with enough active yeast, carbonate it naturally; or you could boil the herbs and sugar (probably a little less sugar, to taste) in water to make a sweet tea and then just carbonate it for an un-fermented regular soda. This negates the benefit of having a fermented soda with beneficial bacteria and less sugar left, but is most certainly doable, especially as you already have the carbonation equipment from home-brewing. Mike, I should think crimped cap bottles would be fine, but if you don’t ferment to dryness and have both remaining sugar and remaining yeast after primary, when you bottle do fill one plastic bottle as a tester to feel for building carbonation by the stiffness of the flexible bottle. I skipped primary fermentation for this brew, as I do for ginger beer, but I’m sure you could do it that way. You might have to reintroduce either more ginger bug/similar or added yeast before you bottle if you want natural carbonation. Otherwise it might be flat. I just received my ingredients from Mountainsrose. Om my list of things to create tomorrow. I went to my local plant store and bought a wintergreen plant, so I could have all the wintergreen flavoring I want. I’m going to be brewing this recipe for the first time ever tomorrow. I really excited/nervous about it though. I have made the ginger bug with some help from my science buddies it’s smelling yeasty a sound like it’s fizzing a little so I believe it’s ready (cross my finger) I purchased every item on the list from organic growers. Now my question is will this taste like a beer or a bitter sweet root beer? Hi Jenny! I hope this recipe goes into your next book. I did make this a couple months back and it tasted really good. But I didn`t get the fizz I wanted from my ginger bug. I did buy Yogourmet freeze dried Kefir starter. It is for milk can it be used for the root beer. You do state to use a packet kefir starter culture in the directions. The link you have for it doesn`t work. I just don`t want this batch to go down the drain or will this be OK. Or should I use more ginger bug? I grew up drinking sassafras tea and my grandmother lived into her late 90s drinking it. We drank it as a Spring tonic, but had an occasional cup throughout the year. Neither of us have ever had cancer. I’d be a lot more worried about the chemicals in commercial drinks, especially diet drinks, and the BPA in the can liner than i would the root bark. This has been such an odd year i’m hoping i’m not to late to harvest some root from my trees. I found this recipe at the perfect time, thanks. Upon reading the comments, I’m confused as to whether I should use milk kefir starter culture or water kefir starter culture. Anyone tried it with milk and had good results? That’s what I bought. Also, anyone tried fermenting it in a glass carboy instead of in the bottles? I don’t see there being much difference, just let it ferment then bottle it when it’s done in a few days. Just want to make sure that someone whose tried it in a carboy has had success. Any help in appreciated! Could I just make a syrup with this, that is, without fermenting? I have a carbonating appliance. Would I get the same health benefits of the herbs and roots without fermentation? Plus, I’m apprehensive about bottle explosion. How much of each item do I need to buy? I’d hate to purchase something only to find out I needed more, or try to get more and then have a bushel bag of it taking up space and never get used. I did that with tea! Would Rose Mountain be able to put together the Nourished Kitchen Root Beer bundle?! Traditional root beer was often a bitter brew. Earlier tastes were different from modern tastes which are addicted to “sweet” The sassafras, sasaparilla, licorice root, dandelion root, were chosen for their medicinal properties. If you don’t like the recipe as is adjust the ingredient by reducing and/or reducing the bitter herbs. Local brews substituted ingredients based on what was available to the brewer, sch as dried sweet woodruff for vanilla bean (expensive and hard to get) or wintergreen leaf for birch bark (same flavor- grows different places) anise seed for licorice root – same flavor but not same medicinal properties. Taste the decoction (during cooling – before fermenting) and play with the recipe and make it your. I have a continuous brew kombucha system and was wondering if it would be possible to use this same recipe (minus the water kefir grains) for root beer kombucha. Thanks!! What a marvelous article, Jenny – thank you. I love your photos and history. Since we don’t have sassafras growing locally, my wife and I are going to attempt making root beer with “Root beer plant,” AKA Piper auritum. Is it best to buy the herbs in bark or powder form? Mountain Rose is out of stock in all of the barks but have the powder… I make Kefir soda and am interested in making my own root beer. So excited to get going. I’d love to make this, but can’t afford to buy all 10 herbs/roots (I already have cinnamon sticks)… If you could only use 3 or 4 for the main flavor, which ones would you use?? Sassafras, wintergreen, ..? Thanks! If you can’t afford the whole lot (or don’t have room to store it! ), I’d recommend sassafrass and wintergreen and maybe sarsparilla. When measuring the dry ingredients, should I use volume or weight? You should follow the instructions and ingredients exactly as written. Hi! Is there anything else you could store this in besides individual bottles? I’d like to serve it in a large serving…something. Thank you! If I were to store some of the more obscure ingredients in the freezer (in an airtight, dry container of course), would if damage them or have a noticeable effect on their potency later on? I’m referring to the hops flowers, various barks, and wintergreen leaves. I keep lemongrass and kaffir lime leaves in the freezer, but I don’t know if I could handle these similarly. When I look at other soda recipes, they are designed for a 1 gallon batch. Instructions read to add 3 to 4 gts water, steep the ingredients, add the sugar, THEN ADD ENOUGH WATER TO MAKE 1 GALLON, before you add the yeast/culture. Your recipe does not mention this step. So in your recipe, are we adding any additional water, or just using what we end up with? The supplier you mention for ingredients – Mountain Rose Herbs- has half the items out of stock. They are available elsewhere. I must say the cost is ridiculous for these items. Hello, I know this recipe has been online for some time but I finally decided to dive into beer brewing and also wanted to make some root beer for my daughter. Two questions, I’d like to do it from scratch, not using a syrup kit and wanted to know if this recipe tasted similar to any root beers on the market? Also, one of our favorites is brand by Sprecher. I know they use honey and I think molasses. If familiar, any recommendations on adding these to this recipe to make it taste similar? Thanks! This isn’t really similar to most root beers on the market. It has strong earthy and bitter notes. If I wanted a flavor more closely aligned to modern root beer, I would make an infusion of sassafrass and wintergreen and skip the other ingredients which add complexity and depth, but don’t align with the flavor profile of modern root beer. I used this to brew root beer and the initial output was 10% abv. We added several more ingredients and more sugar. It turned out AWeSOME! Can I use some of what I brew as a starter for another batch?? I do this with coconut kefirs and milk kefir so wonder if it would work. Thank you for such a well-laid out recipe! 1) What is the end yield of the recipe? Is it basically the amount of water that you use (2.5 quarts)? 2) I was watching a special on TV about drugs about a month after I found this recipe and noticed that they mentioned that safrole is used in the production of MDMA. I wonder if that is why it is so hard to come by and why the big “it’s carcinogenic” story which I am having a bit of trouble believing. Anyway, I look forward to giving this a try. I also am interested in the yield of this recipe, as I would like to scale up to 5.5 gallons. Do you know of anyone using wild ginger (Asarum canadense) in the ginger bug instead of the Chinese ginger? I would really like to be able to find as many components locally as possible, but I can’t find any reference to anyone using the “ginger” that grows here in a ginger bug. Maybe the chemical composition is too different for the yeast? Could you use wintergreen essential oil in place of the leaf? I can’t seem to find the leaf anywhere. Would have liked to make this until I priced the ingredients at over $60. Sounds delicious though. I ordered ginger root (cut and sifted). I was sent ginger root powder by mistake. It’s of no consequence to me if I can use instead of the cut and sifted. Could someone tell me? We tried your root beer recipe. But it seems to have a bitter aftertaste, maybe a bark taste We can’t really tell what it is because we don’t know what the herbs taste like. Any help would be appreciated. This was delicious! This tasted just like the homemade root beer we would purchase as kids when our parents took us to the local “Old Settlers Days” Rendezvous. A small company called “Bud’s Homemade Root Beer” out of Alton, IL made batches that tasted just like this, except they sold it non-carbonated. Your recipe is exactly spot on with theirs! You don’t understand how happy you have made me. Thank you so much for providing this recipe! How would I go about making a root beer with a higher alcohol content? Is this possible? Hi, do have a natural cola recipe as well? I just made the root beer and it is still fermenting. Thank you! I love homemade everything! This sounds delicious AND fun. However, I hold to a religious covenant to avoid consuming alcoholic drinks. I want to go au naturale and enjoy the flavor palette these biological processes offer. Is there a way I can produce a grdat homemade rootbeer with carbonation without creating a drink that would compromise my convictions? No, all fermented drinks and foods will have some very small amount of alcohol – typically less than what you see in ripe and overripe fruit. If your religious convictions are such that you need to avoid alcohol in all forms, I’d also caution you to avoid ripe and overripe fruit, particularly tropical fruits like bananas. Alternatively,you might just use these herbs to make a sweetened infusion and then add carbonated water. I just made this and it is much too bitter for our tastes. Can you please tell me how to adjust the ingredients for a less bitter result? I like it just fine otherwise. Thank you! Hi Helyn, The traditional version certainly is more bitter than the soft flavors we associate with root beer today. If I were to adjust it for a modern palate, I’d simply make an infusion of sassafras, wintergreen and sarsaparilla, leaving out all the other herbs and spices. Then I’d follow the remaining instructions as-is. I followed this recipe to the letter. Turned out very well and tasted great. I highly recommend using the ginger bug instead of the kefir. I tried both and found the ginger bug gave it a much nicer taste and fizz. I live in London as was able to source majority of ingredients from local health food shops or online (wintergreen leaves). We used to make a lot of root beer, oddly enough in Papua New Guinea. One little trick that worked as a signal to see if there is enough carbonation is to drop one raisin into each bottle before you seal it. Once the raisin was seen floating to the top, the carbonation process was done! Yes! That’s a fantastic tip. I love this! I’ll be sending the link to my mom! Thanks for the recipe! My dad used to make root beer from scratch when I was younger. It’s so good homemade! I got all of my ingredients today from Mountain Rose but have not found a local source for wintergreen. I have wintergreen essential oil, could I use that and if so how much? I’d skip the wintergreen essential oil as it shouldn’t generally be taken internally. I’ve never had this problem, but occasionally I hear from someone who has: first, were you using flip-top bottles? Secondly, did you sterilize them? Have you ever made this in 5 to 10 gallon batches? I am curious if it is a straight multiplying of the ingredients or if you modify it for the increased volume. I haven’t but you could try and let us know how it goes. Can you add other roots and herbs to this? Such as rhodiola and schisandra? Would simmering for longer periods of time be ideal? You could try and let us know how it goes. It’s a very flexible recipe. One can make this sugarless using about a TBS stevia per cup of sugar. You can make the “tea” then let it cool to body temperature. Strain and then Pitch your yeast (ginger bug or whatever yeast you are using). Add 1/4 to 1/2 tsp sugar to each 12 0z bottle or up to 1 tsp per British pint (22 oz bottle). The stevia will give you the sweetness level you desire, the sugar added is only used to feed the yeast (charge the bottle with carbonization). If only the proper amount of sugars are in the “tea” then the bottle will not be over pressurized and explode. This is a common method of “charging” beer bottles at capping. It allows you to completely ferment then charge and cap or to use zero sugar “teas” and charge and cap. I hope this helps. you can find more information on this process in beer chats. Where did you buy all those ingredients? I mentioned the source at least twice in the post. What can be done to stop the fermentation process in the sodas? I understand refrigeration will slow it but I want to stop it so I can make a good sized batch and keep it in the refrigerator for like a month. Pasteurization is the only thing that will fully stop the fermentation process, but the fridge slows it down enough so that your soda should be fine in the fridge for a month or two. I tried this root beer recipe and I am not sure if I did something wrong but mine was terrible. Not a lot of fizz and was bitter and very medicinal tasting. As I’ve written above, this is a traditional root beer and it is strong and medicinal. I’m diabetic, does the culture need real sugar or can I get away with swerve? The culture needs real sugar. Would I have to double the Amounts? 1. The ratio of herbs to water seems a little off. This requires a lot of herbs for a small amount of water. It cost me around $20 in herbs alone and the recipe doesn’t even make 5 bottles. One of the big problems is evaporation. So it cost me about $4.5 per bottle. Yikes. Of course, I didn’t buy the herbs in bulk. There is definitely room to budge on that cost. But it seems like you could double the amount of water for that volume of herbs. Maybe steep it for 10 mins longer to compensate for the extra water? So a 30 minute steep time. This would fall in line with beer brewing. 2. As I was making it, it seemed to make sense to use a muslin bag to steep the herbs. Is there any reason not to do this? 3. Also, I ended up using a Champaign yeast. It saves some time, and works really well. How was your experience with the special order for your wintergreen through the health food store? I ordered mine from a place online that had good reviews but received a terrible product that had many large woody stems, leaves that were clearly not wintergreen, and there was mold in the bag. So I am looking for a better sourcing option but am a bit gun-shy now. I love root beer. I’ve never even imagined making it at home myself. This recipe makes it seem so short and easy. I really think I’m going to dive into this and give it a try. Thank you for sharing this recipe! I’ll do my darndest to make it match yours as close as I can! I’ll report back with the results! I need help with getting these ingredients! I went to Mountain rose herbs and they only have sassafras bark powder..not sassafras root bark. Im supposed to use actual bark not powder, correct? For the other ingredients I’m afraid I’ll run into the same problems..i just need a little advice. Thanks. Try a local herb shop, and, barring that, I’m not certain what to suggest to you. Do the kefir grains have to be water kefir or will the milk kefir grains work too? I recommend using only water kefir grains for this recipe. I brew Kombucha, about 14 cups per week. I would love to use this recipe to make Kombucha root beer, any advice? I usually bottle 1.5 cups Kombucha to .5 cup flavor to a 16oz Grolche. The cinnamon stick? Does it steep for 20 minutes as well? Ok. I just made this but have a feeling I skipped a step. I just stirred in the dry kefir starter packet and bottled. Realizing my mistake, I removed the concotion from the bottles into mason jars and covered with coffee filters where it will ferment for 2 days before I strain out the kefir and bottle for second ferment. Ugh. I hope I didn’t compromise the entire batch. I’m trying to figure out a way around this because all of the info I’ve seen for making kefir soda requires a large amount of kefir water and a small amount of flavoring such as juice. Wanting a strong rootbeer flavor I think I might just go with the ginger bug. Shucks, I was hoping to avoid that process, but not sure the water kefir route seems easier or harder! How many 16 oz bottles do I need for this recipe? I don’t remember. This post is several years old. I bought all my ingredients to make the rootbeer at home, but wasn’t sure if you are using milk kefir grains or water kefir grains. Can you help? Thank you! Is there alcohol in this root beer? If so what is the content? I would love to see a recipe for home-made Dandelion & Burdock – which is the British equivalent (sort-of) to root beer but without the urgh factor that turns so many of us Brits off from root beer (I think it’s the wintergreen or the sassafras…) Regardless, thank you for sharing this recipe – very educational! Thanks Jenny! Very interesting read. We’ve just started experimenting with Kefir for homemade sodas, so this will definitely be one of the next things we try. Would this work without the sugar? No. Fermented drinks need a caloric sweetener or they can’t ferment. What do you do to clean the bottles? Wow this is cool! Who new rootbeer could be so healthy. Once I can afford it I will definetly make some! How much alcohol is in this recipe? Do you serve it to children? Alcohol content of homemade drinks like this tends to be low, around 1% or less. Yes, I serve it in small quantities to children. How do you store your leftover roots and spices for this recipe? How long will they last? And do you think it’s ok to proportion out the roots and spices in store together in ready to go batches for the next time it’s made? I store them in glass jars. They last about a year. Yes, you can portion them out if you like. So say that I wanted to make a large amount, say 5 gallons. Is there any way that I could store it in a 5 gallon container to ferment and cool? Thank you. Can you be more specific on the hops? There are A LOT to choose from. Thank you for the root beer recipe! How long does the concoction last in the fridge? Is there a recipe for sarsaparilla instead of root beer? Does this have alcohol in it? I have made this twice with whey, and both times have not gotten the “fizz.” I’ve made the lemonade recipe on your site, with whey, and within 2 days have incredible fizz, so I don’t think it’s the whey. Do you have any suggestions? I have waited 4 days on the counter and have still had no fizz at all. Thanks! The flavor is still great and we love the lemonade! I love this root beer. Question: Does it contain caffeine? It does not contain caffeine! You could certainly try and let us know how it goes. Can you carbonate this recipe and put it in a keg for home consumption? Have you tried making this with a kombucha culture instead of kefir, ginger bug, or fresh whey? Thanks! Hi! The link for the kiefer starter culture is broken. Can I please get that link? Ty!